As I've said before, the EngadgetHD podcast is one of my favorite podcasts – Ben Drawbaugh & Steve Kim cover all things HD including topics such as HD gadgets and HD content. This week Ben invited me back to the show for the second time (my first time on the podcast was to review the TV premieres) as a guest on the EngadgetHD Podcast. We covered a bunch of topics including several HTPC-themes such as Windows Media Center, Boxee, SageTV and the SageTV HD Theater. While Ben Drawbaugh (EngadgetHD team member) uses Vista Media Center to drive his Media TV at home, but he's been reviewing the SageTV HD Theater so it was really intereresting to get his perspective on the HD Theater and SageTV itself. 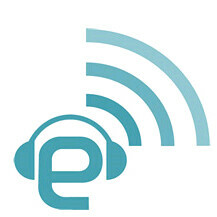 If you're interested in Media Computers or High Definition Media in general, be sure and check out the EngadgetHD Podcast.